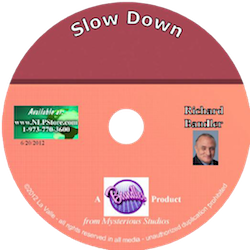 This is excerpted from a Creativity Enhancement seminar with Richard Bandler and is outstanding. As more and more people are wanting to raise their own concsiousness, Richard takes us through a way of doing that. 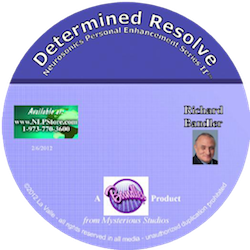 It is excellent learning material for the astute learners who want to track some of the most exquisite language patterns and NLP™ like no else can do it, but Richard.